Another new section, this time to commemorate memorable impersonations of real life (in)famous people. And where better to start than loveable cockney alcoholic Michael Elphick turning in a more-than-passable Ernst Röhm, the less loveable Bavarian Brownshirt leader of the NSDAP’s Sturmabteilungen? 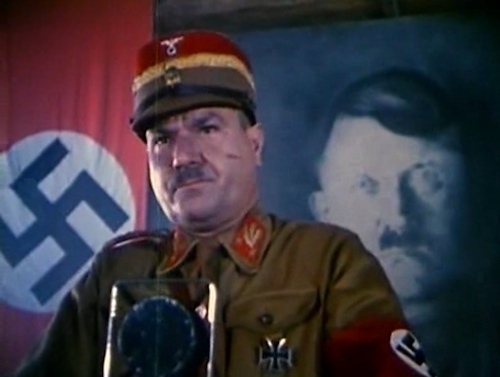 From TV movie Hitler’s SS: Portrait In Evil.